April is here! 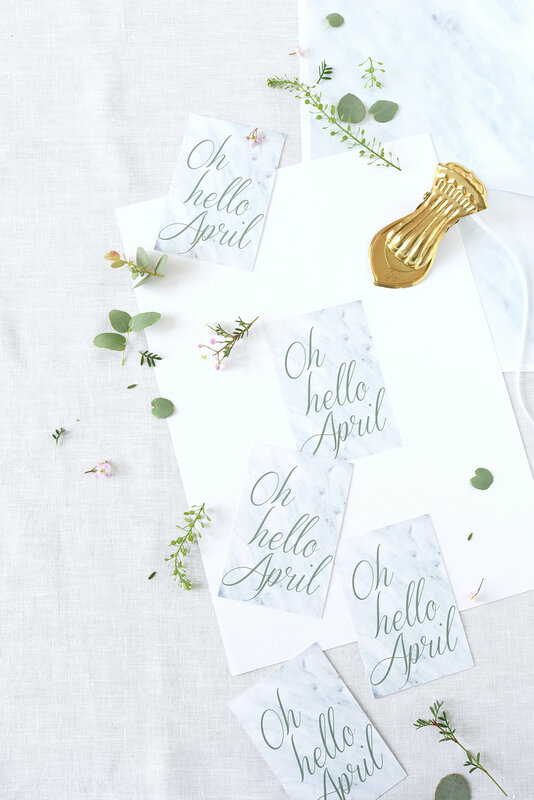 Hello dear decor8 readers, this is Anke with some fresh tabletop ideas for you today. 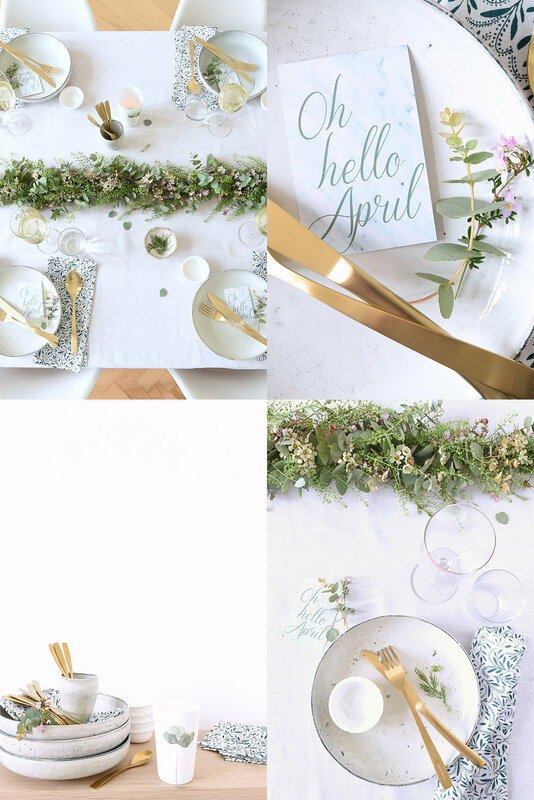 I am already dreaming of relaxing on a green summer meadow which is why I've decided to create a green garland for my table theme this month. 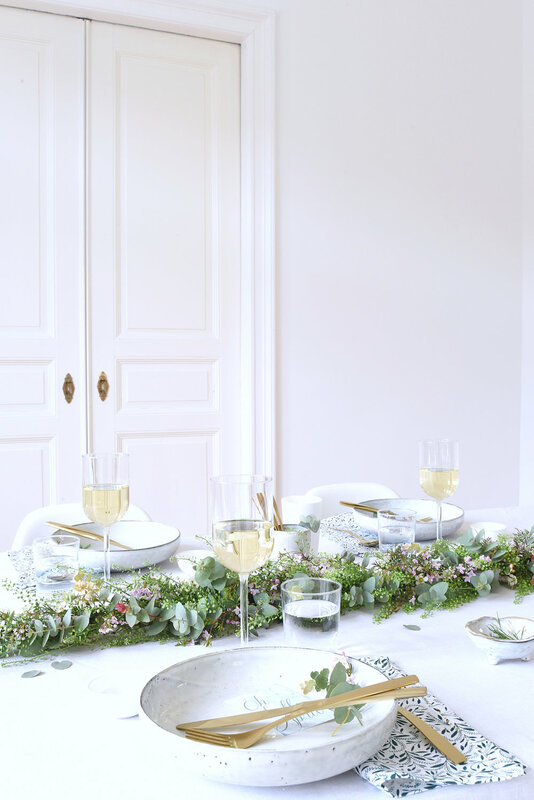 Everything else was inspired by my garland which was made using several branches of my all-time favorite eucalyptus and shepherd's purse along with white wax flowers and tender pink flowering boronia anemonifolia (called "Duftsternchen" here in Germany). I've used large, flat bowls from Bloomingvilles'Nordic Sand series because I love their surface, rustic look and organic shape. In my opinion, they are just perfect to beautifully present food especially pasta but also lush green salads! 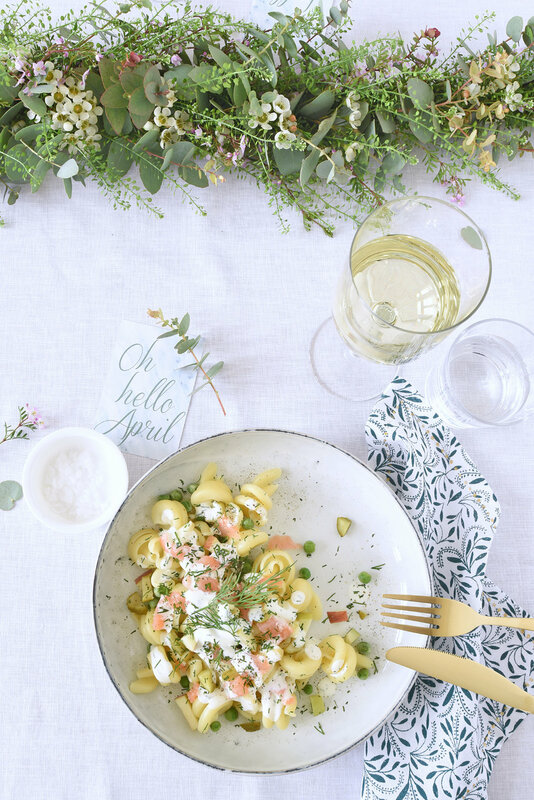 Just in time for spring, I served a lukewarm pasta salad made using chopped smoked salmon, green peas, sliced baby pickles, chopped apple, sour cream dressing and a lot of dill! This delicious recipe comes from Living at Home magazine. Just my taste! 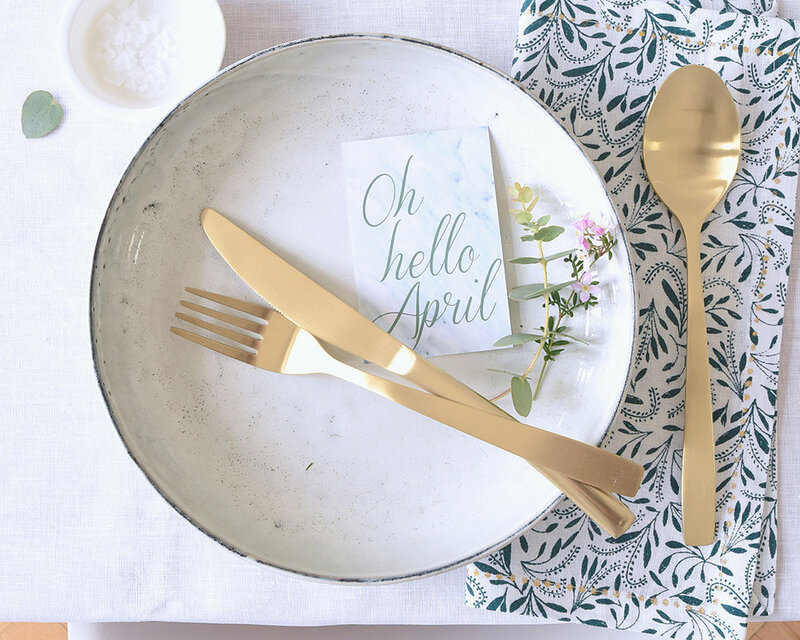 As a Welcome to my guests (and to the brand new month of April) I placed small printed, green marbled cards on everyone's plate. Tender patterned napkins (from Anthropologie) took my garland theme up a notch and the trendy brass cutlery added a little glamour to the decoration.